Owner Is On Site Everyday Through Completion! When you need quality Long Beach home remodeling that will help you turn your house into a personal oasis, it’s time to call the experts at Quality A To Z Home Improvement. Our team of skilled and creative professionals understand that your living space is more than just a place to eat and sleep--it’s a reflection of yourself. Your surroundings should echo your personal style, and add comfort and security to your life on a daily basis. If your space could use a little tender loving care in order to truly feel like home, we can help you handle a full range of renovations, from the smallest changes to a complete renovation. 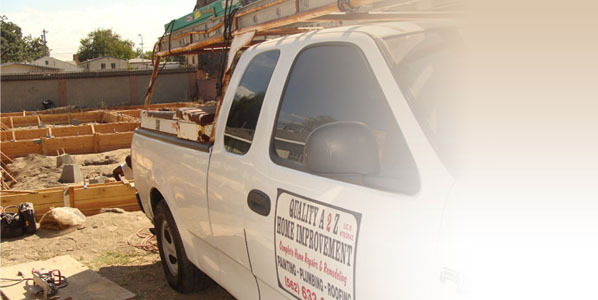 With over 20 years of experience in the industry, the professionals at Quality A To Z Home Improvement take a personalized approach to each project we handle. Our focus is on delivering impeccable customer service, and working along with our client to design and implement a solution that’s simultaneously practical, affordable, aesthetically pleasing, and thoroughly unique. Work is rarely contracted out, and we make certain the owner is always on site to answer any questions or deal with any concerns you may have. Don’t put off the Long Beach home remodeling projects that can help take your living space to the next level. From the initial design consultation all the way through to the completion of the project, we make certain you’re involved in the process, and that the end result is a reflection of your vision. If you’re ready to enhance the natural beauty and bring out the hidden potential in your residence, call us today for a free consultation, and see why we’re the name that’s truly synonymous with quality. 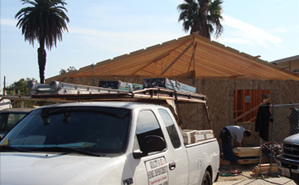 Improve the quality and look of your home and gain advice on managing the construction and restoration with Your Guide to Long Beach Home Improvement. Please fill out the form below or for an immediate response call us today at 562-243-3750.